Emeritus Professor Lee Dow was appointed a Member of the Order of Australia in The Queen’s Birthday 1984 Honours List for his service to education. The following summarises his service and involvement since then. Vice-Chancellor, University of Melbourne, 2004; Deputy Vice-Chancellor, 1998-2003; Pro Vice-Chancellor, 1983-1986; Council Member, 1979-1986. President and Vice-President, Academic Board. Member, Council of International House, for 20 years; Chair, for 7 years. Member, Board of Management, Melbourne University Press. Chair, Board of Management, Asia Education Foundation. Dean, Faculty of Education and Teaching, 1978-1998. Interim Vice-Chancellor, University of Ballarat, 2006. Director, Bond University, since 2010. Adviser to the Victorian Government for the Tertiary Education Plan for Victoria, since 2009. Deputy Chairman, Teaching Australia, 2003-2010; formerly the National Institute for Quality Teaching and School Leadership. Chairman, Victorian Curriculum and Assessment Authority, 2001-2004. Chairman, Board of Studies Victoria, 1997-2001. Chairman, Commonwealth Review of Teaching and Teaching Education, 2002-2003. Chair, Asia Education Foundation, 1992-2002; Patron, since 2003. Member, Education Committee, Organisation for Economic Co-operation and Development (OECD), 1980-1986. Member, Australian Multicultural Foundation, since 1998. Chair, Victorian Migrant Skills and Qualifications Board, 1992-1994. Other awards/recognition include: University of Melbourne named an academic enrichment program in his honour, 2007. Career Achievement Award, Carrick Institute, 2007. Gold Award, Australian Council for Educational Leaders, 2005. Sir James Darling Medal, Australian College of Educators, 1994. Laureate Professor, University of Melbourne, since 2002; Ernest Scott Professor of History, since 1990; Council Member, Ormond College, 1998-2006. Chair, Australian Studies, Harvard University, USA, 2007-2008. President, Academy of the Social Sciences of Australia, 2007-2009. Member, Advisory Council, Australian Research Council, 2008-2010; Professorial Research Fellow, since 2009. Deputy Chair, National Library of Australia, 1992-1996; Council Member, 1987-1996. Consultant for History, Australian Curriculum, Assessment and Reporting Authority, 2008-2011. President, Australian Historical Association, 1996-1998; Life Member, 2002. Council Member, State Library of Victoria, 1989-1998. Author and editor of a range of publications and journals including: The History Wars, 2003. A Concise History of Australia, 1999. The Reds, 1998. The Oxford History of Australia, Vol 4, 1986. Winners and Losers, 1985. Fellow, Australian Academy of the Humanities, 1999. Fellow, Academy of Social Sciences in Australia, 1987. Awards/recognition include: Centenary Medal, 2001. Redmond Barry Award, Australian Library and Information Association, 1998. Professor of Veterinary Pathology, College of Veterinary Medicine, Michigan State University, USA, since 1988; Member, Department of Pathobiology and Diagnostic Investigation; involved in the treatment and eradication of elephantiasis (lymphocytic filariasis) and river blindness (onchocerciasis) known to affect 140 million people globally. Current Chairman of Pathology, Michigan State University, USA; for two Colleges of Human Medicine and the College of Veterinary Medicine. Leader of the University’s participation in the Global Alliance for the Elimination of Lymphatic Filariasis; implemented by the World Health Organization and has involved sponsorship from the National Institutes of Health, GlaxoKlineSmith, Merck & Co Inc, and the Bill and Melinda Gates Foundation. Director and Chair of Tropical Pathology, London School of Hygiene and Tropical Medicine, UK, in the late 1970s. Involved in the research, treatment and eradication of parasitic diseases associated with the filarial worm; countries include Sudan, Nigeria, Cameroon, Ecuador, Venezuela and Tanzania. Special Adviser, Tanzanian Ministry of Health, since 2000. Special Adviser, Sudanese Ministry of Health, US National Institute for Health, World Health Organization and The Carter Center, 1978-1994. Member, Mectizan Expert Committee/Albendazole Coordination, since 2002; sponsored by GlaxoKlineSmith and Merck & Co Inc. Involved, Coordination Committee, Onchocerciasis Elimination Program for the Americas, The Carter Center, 2001-2003. Consultant, Animal Health and Parasitology Group, Pharmacia/Upjohn/Searle (now Pfizer), USA, 1986-2006. Consultant, Filariasis Program, Pan American Health Organization, Venezuela, 1985-1988. Member, Scientific Working Group, Filariasis Program, World Health Organization, 1978-1979. Fellow, Royal College of Pathologists, UK, since 1995. Fellow, Royal College of Veterinary Surgeons, UK, since 1985. Awards/recognition include: Alumni Award for International Achievement, University of Sydney, 2008. Adjunct Professor, Macquarie University, since 2003; Head, Department of Electronics, 1989-1999; Professor of Electronics, 1989-1999. Adjunct Professor, Faculty of Engineering and Information Technologies, University of Sydney, since 2007; Senior Lecturer, Electrical Engineering, 1983-1989; Research Engineer, 1974-1982. Supporter, Warren Centre for Advanced Engineering, for over 20 years. Chair, Australian Telecommunications and Electronics Research Board, 1993-1995; Member, 1991-1993. Chair, National Committee for Radio Science, Australian Academy of Science, 1992-2000. Chief Executive Officer, National Information and Communication Technology, 2005-2011; Director, since 2003. Director, Wi-Fi Alliance Inc, 2003-2004. Co-Founder and Director, Technology Cisco Systems Wireless Network Business Unit, 2001-2004. Co-Founder and Board Member, Radiata Communications Pty Ltd, 1997-2001. Director, Smarts Holdings, 2009-2010. Director, Capital Markets CRC Ltd, since 2004. Member, Board of Governors, IEEE Circuits and Systems Society, since 2010. Member, Board of Governors, Sapient College, Gordon, Sydney, 1997-1999. Honorary Fellow, Engineers Australia (Institute of Engineers Australia), since 2008; Fellow, since 1995; Chartered Professional Engineer. Fellow, Institute of Electrical and Electronics Engineers, 2007. Fellow, Australian Academy of Technological Sciences and Engineering, 2004. Awards/recognition include: Alumnist of the Year, Faculty of Engineering and Information Technologies, University of Sydney, 2010. Clunies Ross Award, Australian Academy of Technological Sciences and Engineering, 2010. MA Sargent Medal, Engineers Australia, 2010. 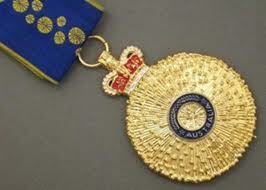 Tony Benson Award, Commonwealth Scientific and Industrial Research Organisation, 2007; Research Medal, 2000. Professional Engineer of the Year, Sydney Branch, Engineers Australia, 2005. Norman W V Hayes Medal, Institute of Radio and Electronic Engineers, 1980. Lecturer, Moral Philosophy and Bioethics and similar topics at several universities including the University of Melbourne, the University of Queensland, Claremont Teachers’ College, Catholic Adult Education of Western Australia, the Catholic Pastoral Institute of Western Australia, and Murdoch University. Published widely on issues such as the law and abortion, moral and ethical aspects of assisted reproduction, euthanasia, stem cell research, treatment of the human embryo, gene therapy, ethical dilemmas in rationing the health dollar and informed consent for research. Founding Director, L J Goody Centre for Bioethics, St John of God Hospital, Subiaco, WA, 1985-1986. Member, Australian Health Ethics Committee, 2001-2006. Member, Working Committee, Review of the National Statement on Ethical Conduct in Research Involving Humans, National Health and Medical Research Council, 2007. Consultant Ethicist, St Vincent’s Hospital, Melbourne. Hospital Ethicist, Mater Misericordiae Health Services, Brisbane, 2000-2003. Served on numerous clinical and research ethics committees in universities, hospitals and research institutes including: – The Clinical Ethics Committee, Royal Melbourne Hospital, 1990-1997 and since 2003. – Cabrini Hospital Ethics Committee, St Frances Xavier Cabrini Hospital; current Member. – Ethics of In Vitro Fertilisation Committee, WA Department of Health, 1982. Rector, Newman College, University of Melbourne, 1987-1990 and since 2006; Dean, 1968-1970. Rector, St Leo’s College, University of Queensland, 1998-2000. Rector, St Thomas More College, University of Western Australia, 1979-1984; Dean, 1977-1979; Catholic Chaplain, 1977-1980. Acting Head, St Catherine’s College, University of Perth, 1986. Rector, The Jesuit Theological College of the Society of Jesus, The United Faculty of Theology, Melbourne College of Divinity, 2003-2005; Dean, 1997; Council Member, since 2006. Superior, Australian Province of the Society of Jesus, 1991-1996. Entered the Society of Jesus, 1954; ordained 1968. Board Member, Melbourne College of Divinity, since 2006. Member, Governing Board, St Frances Xavier Cabrini Hospital, since 2005. Board Member, Boystown, Brisbane 2002-2004. Member, National Commission of Catholic Health, 2000-2001. Member, Prison Reform Sub-Committee, Catholic Commission for Peace and Justice, 1984-1986. President, The Catholic Moral Theology Association of Australia and New Zealand. Awards/recognition include: Doctor of the University, Australian Catholic University, 2009. For distinguished service to the law and legal education, particularly in the areas ofnative title, human rights and constitutional law, as an educator, through roles with professional organisations, and to the community. Professor of Law and Executive Dean, Faculty of Law, Queensland University of Technology, since 2004. Secretary General, Law Council of Australia, 2001-2004. Deputy Chair, Council of Australian Law Deans, since 2011. Chair, Standing Committee on Legal Practice and Relations with the Legal Profession, Council of Australian Governments, since 2009; Chair, Consultative Committee, National Legal Profession Reform Taskforce, 2009-2010. Member, Advisory Committee, Institute for Ethics, Governance and Law, Griffith University; Member, Advisory Committee, reviewing legal education and training in Victoria. Co-Editor, Beyond the Adversarial System, which considered the future of Australia’s civil justice system. Member, Queensland Law Society, 1986-1995. Attorney General, Parliament of Australia, 1993-1996. Panel Member appointed by the Prime Minister to review and report on proposals to change the way conflicts between the House of Representatives and the Senate are resolved, 2003. Participant, Australia 2020 Summit, 2008. Director, Forde Foundation Board of Advice, Department of Communities, 2000-2004. Member of Cabinet Committees in Government programs and policies in Employment, Immigration, Environment, Foreign Affairs, Trade, Transport and Industrial Relations. Queensland Delegate, 4th National Constitutional Convention, 1998. Federal Member for Dickson, 1993-1996. Fedral Member for Fisher, 1987-1993. Councillor, Pine Rivers Shire Council, 1982-1988. Director, Australian Energy Market Operator Ltd, since 2009; Director National Electricity Market Management Company Ltd (predecessor organisation), 2004-2009. Chairman, Financial Ombudsman Service, since 2009. Chairman, Banking and Financial Services Ombudsman Scheme, 2004-2008. Chief Adjudicator, Alcohol Beverages Advertising Complaints, since 1998. Director Plan Australia, 1997-2003; has sponsored two children in Guatemala, since 1997. Established the National Inquiry into the Separation of Aboriginal and Torres Strait Islander Children from their Families, 1995. For distinguished service to the international community, particularly in the areas ofpublic health and nutrition, to disease prevention and health promotion, and as a physician, academic and educator. Dr Darnton-Hill has been a leader and administrator in international nutrition and public health, particularly in the area of micronutrient malnutrition, as a physician, public health worker, nutritionist and academic. Senior Adviser to the UNICEF Executive Director on ending child hunger and undernutrition, 2008-2009. Senior Adviser, Child Survival and Nutrition, UNICEF, 2003-2007; Acting Director, Nutrition, 2007. UNICEF Global Adviser, Micronutrient Nutrition, New York, 2003-2007. Special Adviser, United Nations World Food Program, 2008-2009. UNICEF Representative on REACH: Ending child hunger and undernutrition, since 2008. Consultant, Millennium Villages Project. Vice-President, International Programs; Director, Health and Nutrition, Helen Keller International, 1998-2001. Responsible for overseeing the development and implementation of programs in nutrition, health, tropical diseases, blindness prevention, and education. Country Director, Bangladesh, National Vitamin A Deficiency and Blindness Program, 1987-1988. Taskforce Member for World Health Organization (WHO) Western Pacific Region document Nutrition Today Matters Tomorrow. Executive Director, OMNI (Opportunities for Micronutrient Intervention) Project, JSI/United States Agency for International Development, 1995-1999. Leader, WHO Technical Consultation in Vitamin A, 2000. Regional Adviser in Nutrition, Western Pacific, WHO, 1990-1995. Senior Global Health Leadership Fellow, Nutrition and Non-communicable Disease Prevention, WHO, Geneva, 2001. Leader, Technical Consultation in Vitamin A, 2000. Adviser, Global Micronutrient Malnutrition, Washington. WHO Medical Officer, Non-Communicable Diseases, South Pacific Sub-Region, Fiji, 1989. Consultant, GAIN (Global Alliance for Improved Nutrition), since 2009. Chair, Steering Committee for the Biological Markers Group (BOND), US National Institute of Child Health and Disease, NHI USA, since 2008. Involved with the Food and Agriculture Organisation of the United Nations. Public Health Physician, since 1990. Senior Global Health Leadership Fellow, Nutrition and Non-communicable Disease Prevention, WHO, 2001. Founding Fellow, Australasian Faculty of Public Health Medicine, Royal Australasian College of Physicians, 1990. Current Adjunct Professor, Boden Institute of Obesity, Nutrition, Exercise and Eating Disorders, Sydney Medical School, University of Sydney. Coordinator, Dietetics Course and Masters of Public Health, School of Public Health and Tropical Medicine, University of Sydney, 1970s-1980s. Adjunct Professor, Friedman School of Nutrition Science and Policy, Tufts University (USA), since 2009. Current Visiting Associate Professor, US and International Nutrition Policy, Institute of Human Nutrition, Columbia University (USA). Adjunct Associate Professor, Australian Centre for International and Tropical Health, University of Queensland. Current Member, Editorial Board, Public Health Nutrition journal. Current Member, Editorial Board, The African Journal of Food Security and Nutritional Sciences journal. Author of a range of papers, books and book chapters relating to nutrition including the following recent publications: – Co-Author, Maternal and young child undernutrition adversely affected by external shocks such as increasing food prices, 2010. – Co-Author, Maternal and child undernutrition: effective action at national level, Lancet, 2008. – Co-Author, Public health nutrition and genetics: implications for nutrition policy and promotion, 2004. – Co-Author, A life course approach to diet, nutrition and the prevention of chronic diseases, 2004. – Co-Author, A global response to a global problem: the epidemic of overnutrition, 2002. Presented International Health Oration, Public Health Association of Australia, 1998. Current supporter, Ma-Yi Theatre Group; the theatre supports young artists and actors. Awards/recognition include: Award for outstanding and sustained contribution to nutritionally-related well-being and health of peoples in the Asia-Pacific region, Asia Pacific Clinical Nutrition Society, 1998. President, World Association for Sexual Health (formerly known as World Association for Sexology), since 2009; Vice-President, 2005-2009; Regional Secretary, Asia-Oceania, 2001-2005; Member, Organising Committee, International Conference, since 2002. Current Member, Editorial Board, International Journal of Sexual Health. Technical Adviser, Reproductive Health and Research Group, World Health Organization, since 2002; Member, Gender Advisory Panel, since 2002. Inaugural President, Australian Reproductive Health Alliance, 1996-1998; Board Member, 1996-2006. Chair, Advisory Committee on Publications (Classification Review Board), Western Australian State Government, 1983-2000. President, Australian Association of Sexuality Educators, Researchers and Therapists, 1981-1984; Member, Conference Committee, 1992-1994. Member, Advisory Committee, Indian Ocean Centre for Peace Studies, 1990-1995. Chairperson, Western Australian AIDS Council, 1985-1989. Inaugural President, Western Australian Sexology Society, 1985-1988; Life Member. President, Family Planning Association (WA), 1993-1996; Vice-President, 1992. National Consultant for Education, Australian Federation of Family Planning Associations, 1989-1995; Convenor, Education Task Force, 1983-1988. Founder and Leader, Sexology Program, Curtin University, 1979-2006. Consultant, International Programs European Liaison, 2002-2008. Associate Professor, Sexology Programs, School of Public Health, Centre for International Health, since 2003. Director, Sexual Health Research and Education Unit, Division of Health Sciences, 1984-2002. Curtin University Representative, Advisory Committee, Joint Universities Centre for Research for Women, 1995-2000. Chairperson, University Ethics Committee; Member, Human Experimentation Ethics Committee; Member, University Equal Opportunity Advisory Board. Deputy Head, School of Physiotherapy, 1992-2002. Established the world’s first Forensic Sexology Masters.